Union Carbide Building (1960), Skidmore, Owings & Merrill. Photograph by Ezra Stoller / ESTO. Does it feel like I am always yelling at you that this plaza from 1968, or that building from 1983, must be saved? It feels like that to me, because I am, because the architecture that makes New York great, giving it variety, texture, and some generosity amid the towers, is constantly under threat. I was genuinely shocked to wake up yesterday and read that the Union Carbide Building (1960), designed by Gordon Bunshaft and Natalie de Blois of Skidmore, Owings & Merrill, and occupying prime real estate on Park Avenue just north of the Pan Am Building (1963), was going to be torn down to build an even bigger skyscraper. 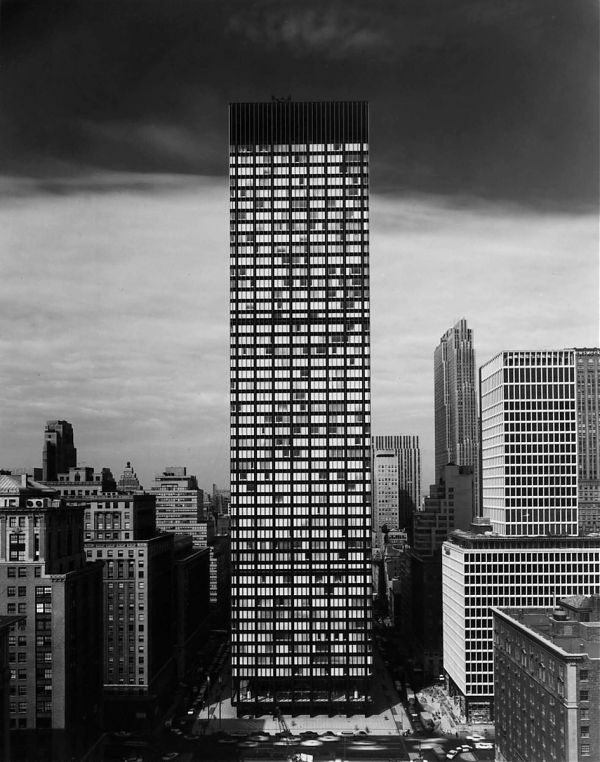 Principally, I was surprised that the Union Carbide Building wasn’t a designated landmark. The bureaucracy and strategy required to get buildings landmarked in New York too often means that advocates are playing defense, and the building under immediate attack gets the attention.